The first thing we want you to know is this — we are passionate about the end-user experience. We have over 30 years of experience in all aspects of the fresh produce industry from production and operations, to procurement, sales, logistics, admin, finance and R&D. This isn’t just a job, it’s a lifelong commitment to understanding every aspect of a raw product so we can provide the appropriate raw product for every end-user, thus enhancing the final consumer experience. 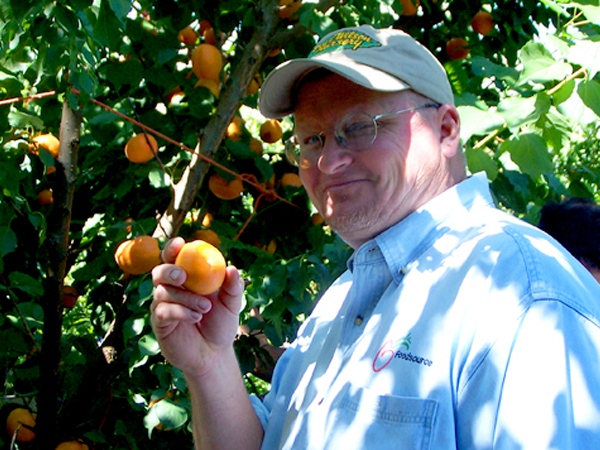 Principal Eric Gaarde started Gaarde Foodsource in 1994 after years of working for a large tree fruit operator and frozen foods plant. It was during those early years that Eric developed a deep understanding of production, as well as how fresh, raw product impacted final finished product on the manufacturing side. Eric quickly came to realize there was an information gap between producers and manufacturers and he could help be the bridge to that information. Today Eric and Gaarde Foodsource are considered experts in stonefruit procurement, but they have become a leader in all raw product sourcing for processors throughout the United States and Canada. Over the years, Eric has worked closely with growers throughout North and South America to source various fruits and vegetables and stay on the cutting edge of new varieties that have potential to improve the end-user experience. Those relationships and learnings have expanded the family business to include sister companies Pangaea Cultivar Management and Fruit Dynamics. The additional companies allow for the procurement and licensing of proprietary seedstock through Pangaea, and applied post-harvest research and development or new product development and testing through the lab at Fruit Dynamics. © 2013 Gaarde FoodSource, Inc.